If you’ve been paying attention to my writing, you know that I’m a Firefox fan. I have been for years. While that loyalty was strained over the long, long time it took for Firefox 4 to finally be released, since then I feel that I’ve been handsomely rewarded for staying with my browser. Over the past summer and fall, we’ve seen 4 new releases, moving the version number up to 8. While I personally think that more appropriate numbers would have been 4.1, 4.2, 4.3, and 4.4, the name doesn’t change the fact that Firefox has been quickly and steadily improving for the past year, and it shows. It might be too little too late though. After Firefox’s debut it grew steadily. It was never able to crack IE’s dominance, though, and Mozilla settled into a comfortable second place. Settled in so comfortably that no one realized the danger that was Google’s Chrome. Until recently at least. Finally waking to the danger, Mozilla kicked things into high gear and started pumping out updates. This was a mistake. At least, giving each a full new number was. Chrome was already releasing rapid updates, but it had been steadily de-emphasizing version numbers. Because of that along with its auto-update feature which has been built in from basically the beginning, its user base is completely used to rapid updates and large numbers. 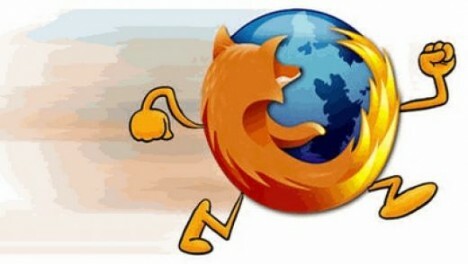 Firefox on the other hand, has a long history of larger but less frequent updates. As such, its user base is used to treating updates much more significantly. When Mozilla began releasing the rapid updates with full numbers, people freaked out. This may have been avoided had Mozilla used 0.1 number updates instead of full new numbers, because people inherently assume that a 4.1 is less of an update than 5. But people are creatures of habit, so possibly any change to the release cycle, regardless of name convention, would have caused the same problems. And so despite the rapid improvements to Firefox, the tide of users moving to Chrome hasn’t been stemmed whatsoever, and according to the latest user statistics, Chrome has now surpassed Firefox. (Granted, no matter what Mozilla had done, this may have been inevitable given the resources that Google has to throw at its browser). Yesterday Firefox released video appealing to users. Full of emotional pulls and very little in the way of specifics, it’s still quite well done at getting it’s message across. Might even pull a few users back.